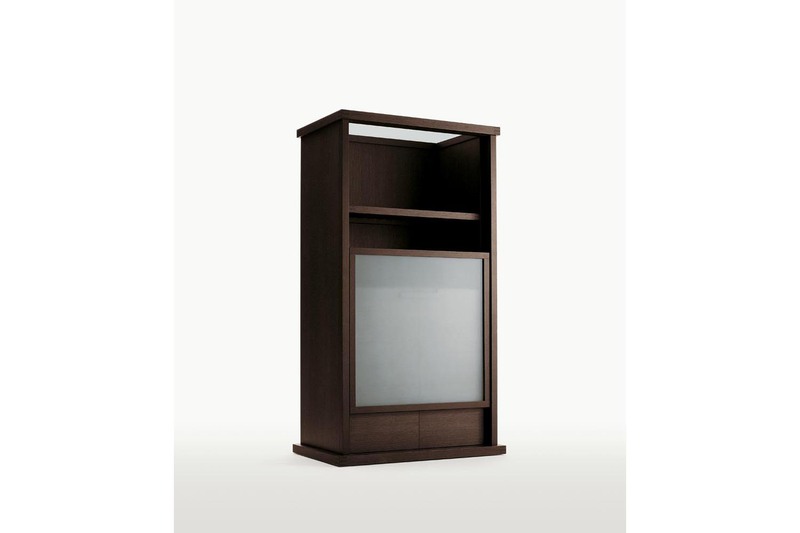 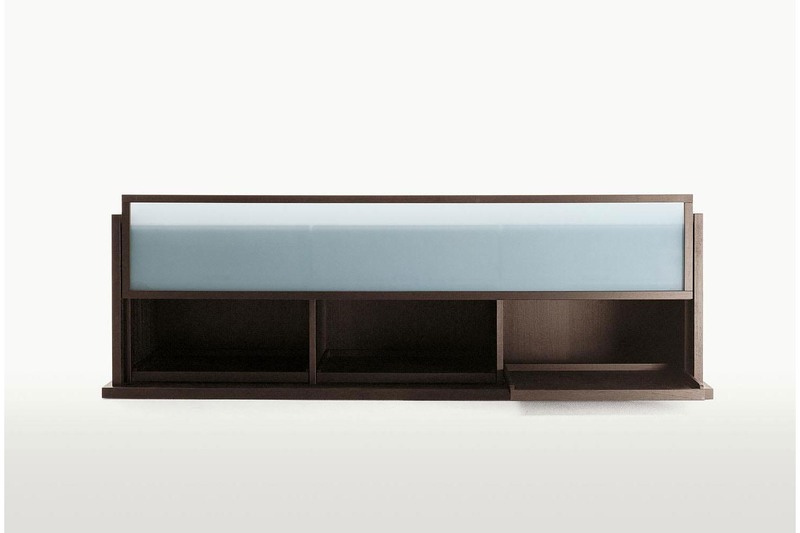 Series of storage units serving different purposes, designed mainly for the living area. 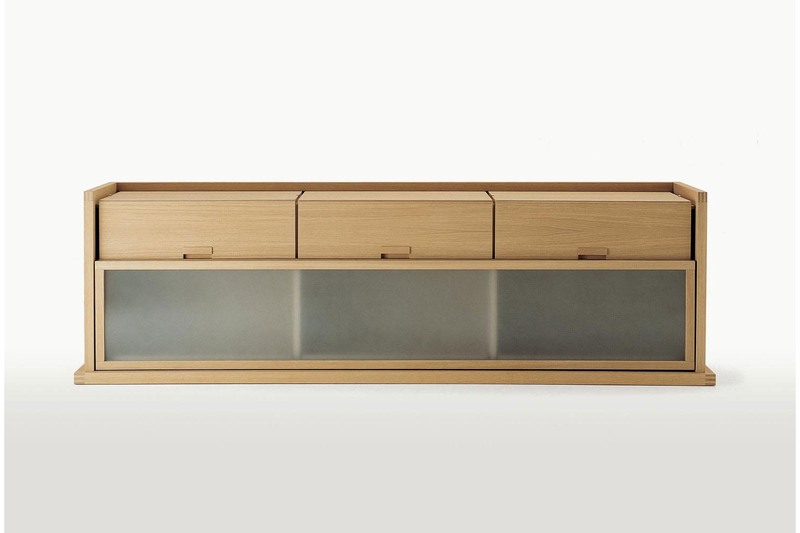 The low sideboard 9600 includes three drawers in the upper portion and a sliding door of transparent or semitransparent etched glass closing a compartment with sliding tray-like shelves. 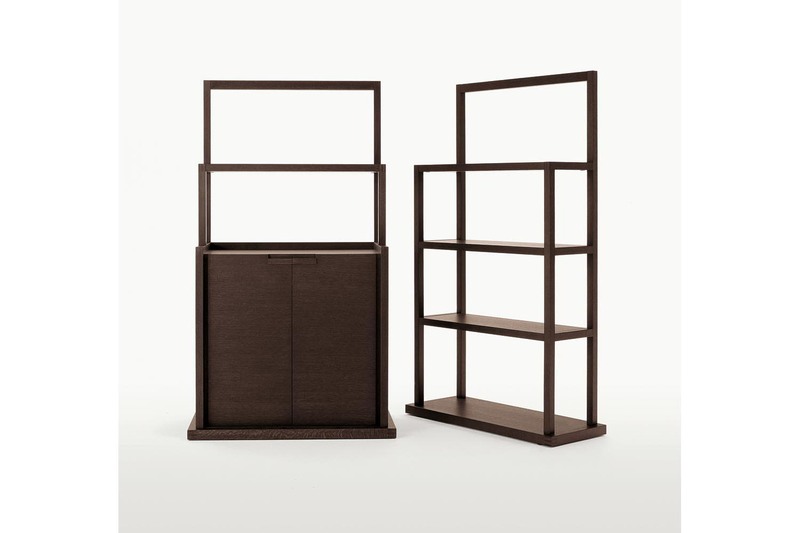 With models 9706 (with shelves) and 9604 (with shelves and a double hinged door), the theme of the etagère for the study is developed into two alternative solutions. 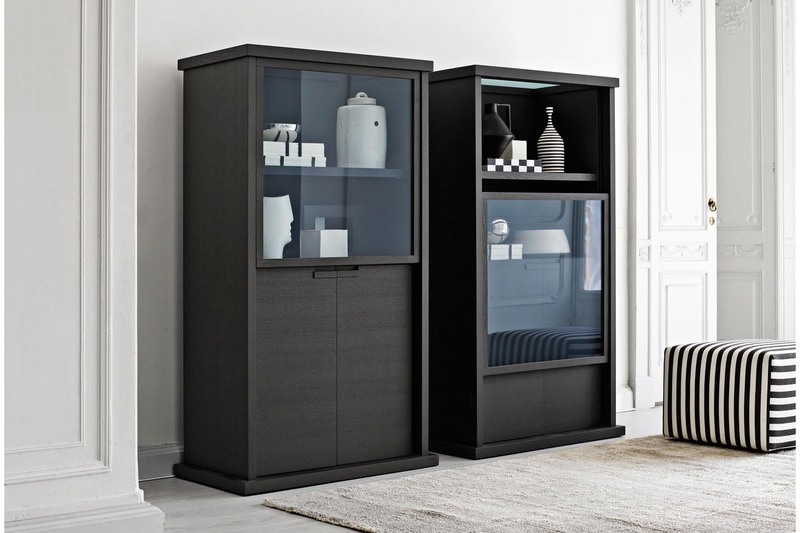 Incipit 9601, finally, combines the sliding door of transparent glass with two hinged doors that contain internal drawers. 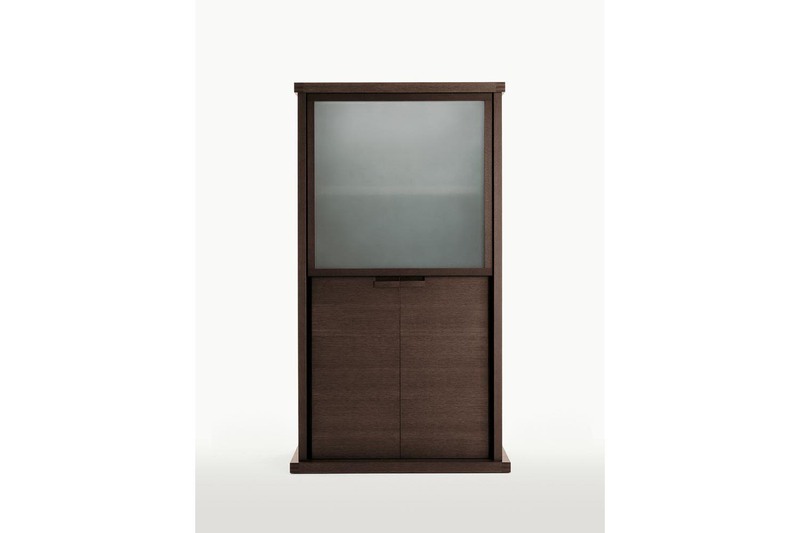 As far as finishes are concerned, the choice is among brushed oak in light or black shades, grey or brown oak.